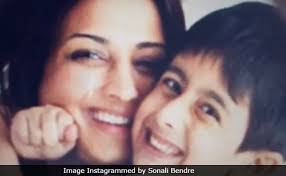 Actress Sonali Bendre, who is currently undergoing treatment for cancer in New York, wished her son Ranveer on his 13th birthday in the most adorable way possible. The actress shared a short video clip with photographs of herself and Ranveer along with an emotional note on Instagram. In the post, Sonali addressed Ranveer as her "not-so-little-one" and mentioned that this is the first time that the mother-son duo won't be together for Ranveer's birthday. The 43-year-old actress began the birthday note in a light-hearted manner and wrote: "Ranveeeeer! My sun, my moon, my stars, my sky... Okay, maybe I'm being a bit melodramatic, but your 13th birthday deserves this." Sonali mentioned that she misses being with her son on his special day and wrote: "Wow, you're a teenager now. Will need some time to wrap my head around that fact. I can't tell you enough how proud I am of you... Your wit, your humour, your strength, your kindness, and even your mischief. Happy happy birthday, my not-so-little one. It's the first one that we're not together... I miss you terribly. Lots and lots of love always and forever.... biiiiig hug!" Last month, Sonali Bendre shared a picture of herself and Ranveer (who was there for his summer vacation) from New York along with a lengthy note, in which she mentioned that Ranveer handled the news about her medical condition with utmost maturity. "I believe that it's imperative to keep kids involved in a situation like this. They are a lot more resilient than we give them credit for... In our effort to protect them from the pain and realities of life, we might end up doing the opposite," read an excerpt from Sonali's post. Sonali Bendre keeps her fans updated about her life by sharing inspirational posts on social media. On the occasion of Friendship day, the actress shared a picture which also featured her friends Sussanne Khan and Gayatri Joshi. "This is me. And in this moment, I am really happy. People give me strange looks when I say that now, but it's true and I'll tell you why." Sonali wrote. Sonali Bender shared a lengthy note about being diagnosed with cancer on social media in July. 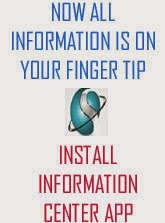 She wrote: "I am currently undergoing a course of treatment in New York. We remain optimistic and I am determined to fight every step of the way. What has helped has been the immense outpouring of love and support I've received over the past few days, for which I am very grateful." Sonali Bendre has featured in several hit films such as Sarfarosh, opposite Aamir Khan, Duplicate co-starring Shah Rukh Khan and Hum Saath-Saath Haiin which she was paired opposite Salman Khan.